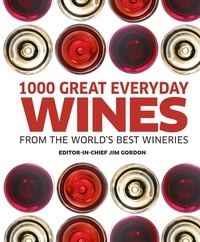 With recommendations for more than 1,000 bottles of wine that will be appreciated by wine drinkers at every level, "1000 Great Everyday Wines" is the perfect choice for budding wine enthusiasts who care about getting great value for their money. Expand your knowledge with features on the most popular grape varieties and tips on how to get the most out of your bottle from food and wine matches and correct serving temperatures to the right glassware to use. Practical advice will also help you host your own wine-tasting event and navigate restaurant wine lists with confidence.